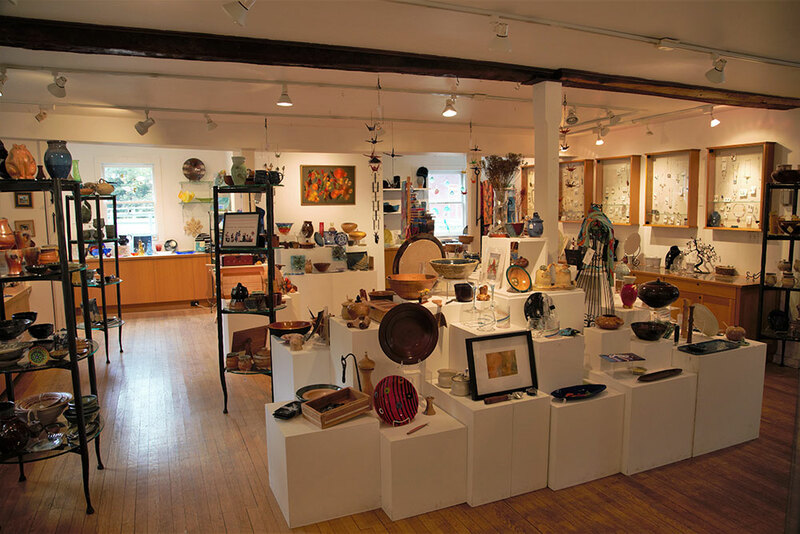 BCC’s Lynn Tendler Bignell Gallery and shop features the works of over 150 artists and fine craftspeople from across the country. 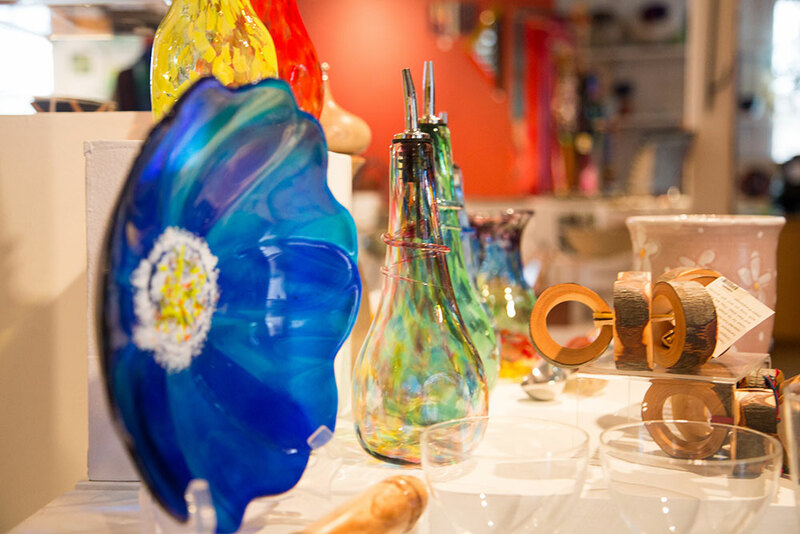 You will find wonderful gifts for someone special in all price ranges, and when you shop from our selection of glass, ceramic, wood, jewelry, metal, paintings and photography, you support the creative pursuits of artists both locally and nationwide. 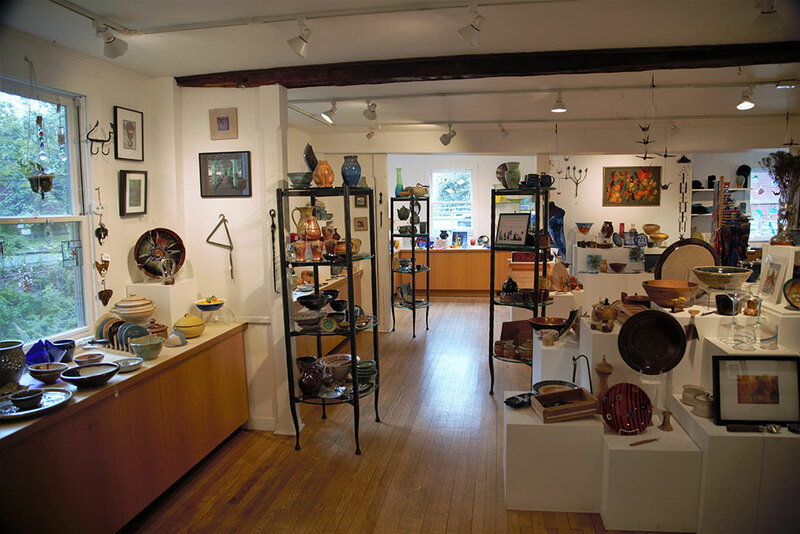 Our Lynn Tendler Bignell Gallery hosts numerous exhibits each year ranging from Artists on the Rise, an exhibition featuring the works of local high school students to single artist exhibits to A Tradition of Excellence: The Brookfield Craft Center Faculty Show. Artists whose works have been featured in the Lynn Tendler Bignell Gallery include: Linda Banks, Joy Brown, Elizabeth MacDonald, Alison Palmer, Missy Stevens, and many more. Beautiful wood turned bowl and salt and pepper sets. Fused glass candy dish and blown glass oil cruets, natural wood napkin rings. 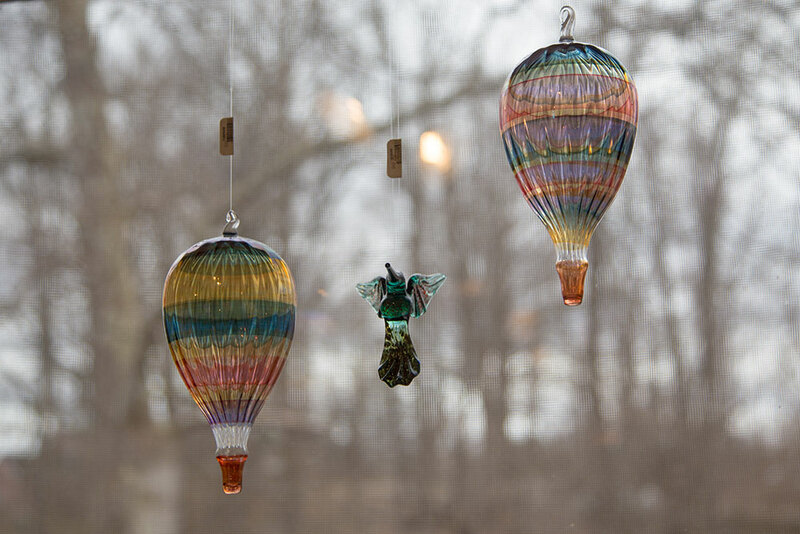 Holiday ornaments, hot air balloons and blown glass hummingbird. 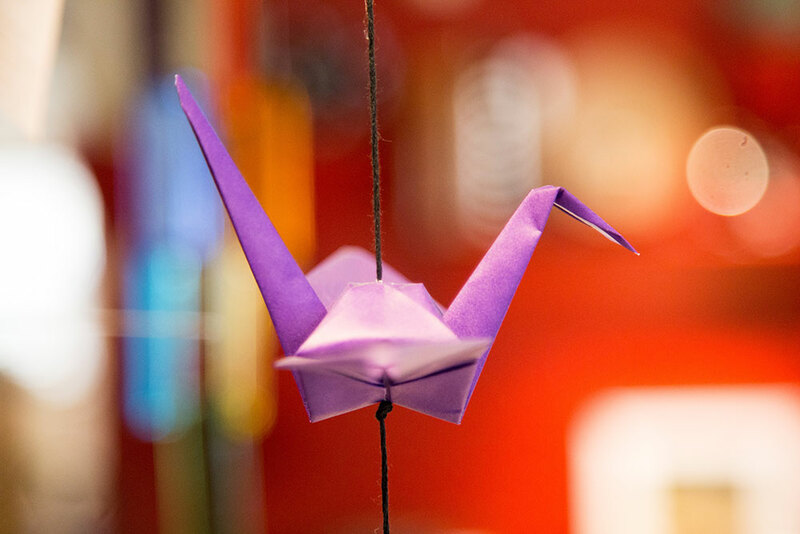 Our Gallery Shop has wonderful gifts year round. 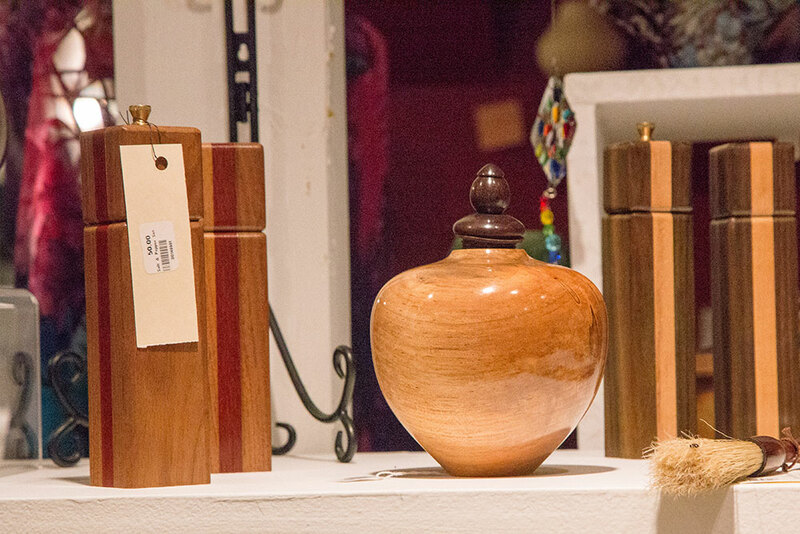 Unique handcrafted gifts in wood, pottery, glass, metal, jewelry are available in our Gallery Shop year round.